China's top newspaper rebutted growing criticism in government circle that Beijing should have taken a lower profile to head off its trade war with US. China's top newspaper rebutted growing criticism in government circles that Beijing should have taken a lower profile to head off its trade war with the United States, saying on Friday that, like an elephant, China cannot hide its size and strength. The ruling Communist Party's official People's Daily took direct aim at those it said were naysayers in an unusually public rebuttal to a debate that has been happening largely behind closed doors in policy-making circles in China. "One of these puts the blame on China, saying that 'China's strategy is too confident and high profile, incurring a one-two punch from the United States'," it said. "Another of these criticises China saying that it shouldn't strike back," the paper said. "The meaning is - as long as China caves in, the United States will raise its hand high in mercy, and the Sino-U.S. trade war won't happen." History showed that the United States had always gone after countries, such as the former Soviet Union, Britain or Japan, that were perceived as threatening its global dominance. That had brought China into the firing line with its enormous and growing economy, the People's Daily said. "Such a large size, such a heavy thing, can't be hidden by 'being low key', just like an elephant can't hide behind a sapling," it said. The People's Daily said Beijing was emerging as an "unprecedented opponent" for the United States. "No matter what China does, in the eyes of the United States, China's development has already 'damaged the supremacy of the United States'," it wrote. "Against this kind of 'opponent', the United States must adopt two methods - first, use the opponent to encourage itself and exhort mass political support for 'making America great again', and second, curb the opponent's supremacy at every level," it said. 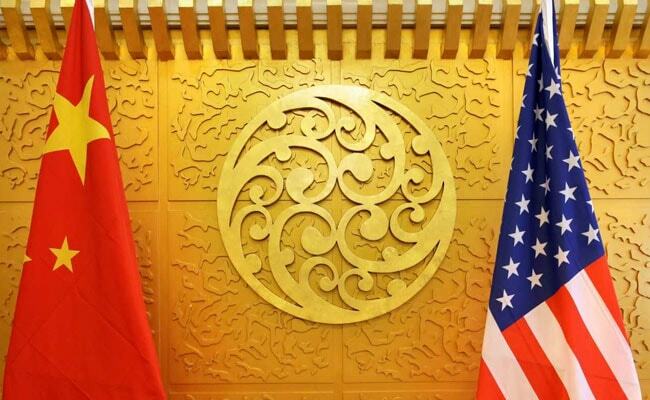 Rising trade tension with the United States has however become the biggest threat to the stability of the Chinese economy, Wang Yiming, deputy director of the State Council Development Research Center, wrote in a separate column in the People's Daily on Friday. More assistance for China's tech sector would mark the latest in a series of growth-boosting measures being rolled out by Beijing as an escalating trade war with the United States puts more pressure on China's already slowing economy.